The 2016 Australian Dance Awards were presented to a packed and enthusiastic audience in the Heath Ledger Theatre of the State Theatre Centre of Western Australia on Sunday night, September 18. Amidst a full performance program, with West Australian dance companies featuring strongly, MC and Local ABC newsreader Briana Shepherd guided the presentation of 12 awards. The nominations were for companies, choreographers and dancers from around Australia after a year of outstanding artistic achievement. Performers on stage included the West Australian Ballet, Co3, STRUT Dance, Lucy Guerin Inc, K2Dance, Force Majeure, Tasdance and Ochre Contemporary Dance Company. The big winners of the night were artists associated with Bangarra Dance Theatre and the company itself. The late Roy David Page, composer, performer, Nunukul Munaldjali man, was remembered in a touching In Memoriam, and shortly afterwards the award for Services to Dance was designated for his achievements. The Award for Outstanding Performance by a Female Dancer went to Elma Kris for her moving performance in Bangarra's Lore. Then the most prestigious award of the night, the Outstanding Performance by a Company Award, went to Bangarra as well. It was presented by Mark Rasmussen of Harlequin Floors, chief corporate sponsor of the event. 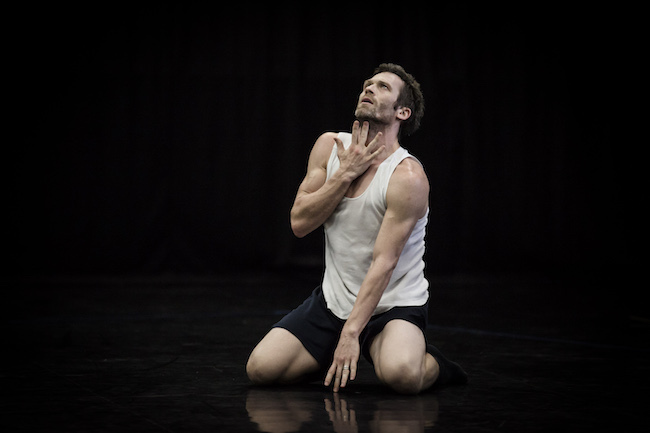 Applause went to David Mack for his award for Outstanding Performance by a Male Dancer for his extraordinary performance in Sydney Dance Company's Frame of Mind. Lucy Guerin was there in person to receive the award for Outstanding Achievement in Choreography for Motion Picture. 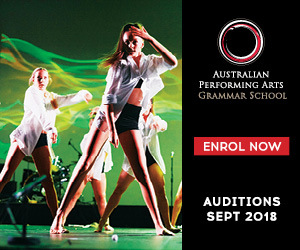 Amongst other popular awards, Services to Dance Education went to a Perth local, Dr. Joan Pope OAM, for more than 50 years of inspired leadership in education through dance and music, influencing many young Australians. The previously announced Lifetime Achievement Award was bestowed to inspiring Perth dancer and dance teacher Terri Charlesworth OAM CitWA for her initiative, dedication, generosity and passion, which have greatly impacted generations of Australian dancers. Photo (top): Bangarra Dance Theatre in Lore. Photo by Jeff Tan. 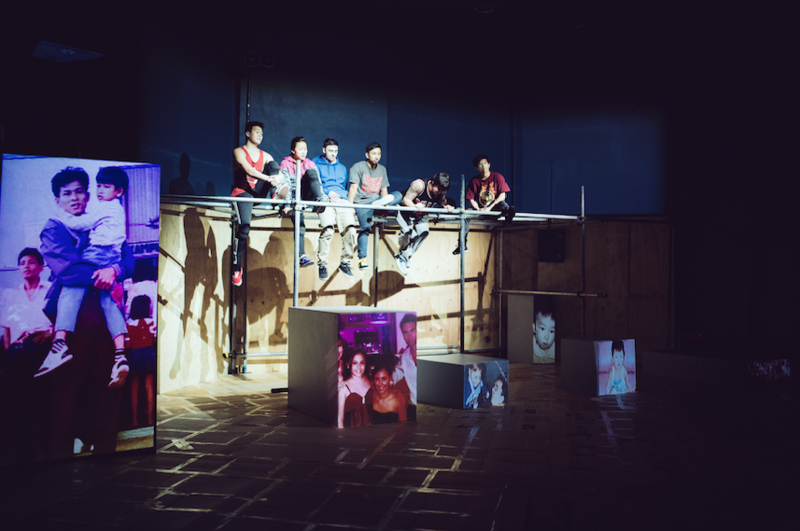 Photo (left): Force Majeure & Powerhouse Youth Theatre's Jump First, Ask Later. Photo by Helen Tran. Photo (right): David Mack in Frame Of Mind. Photo by Peter Greig.